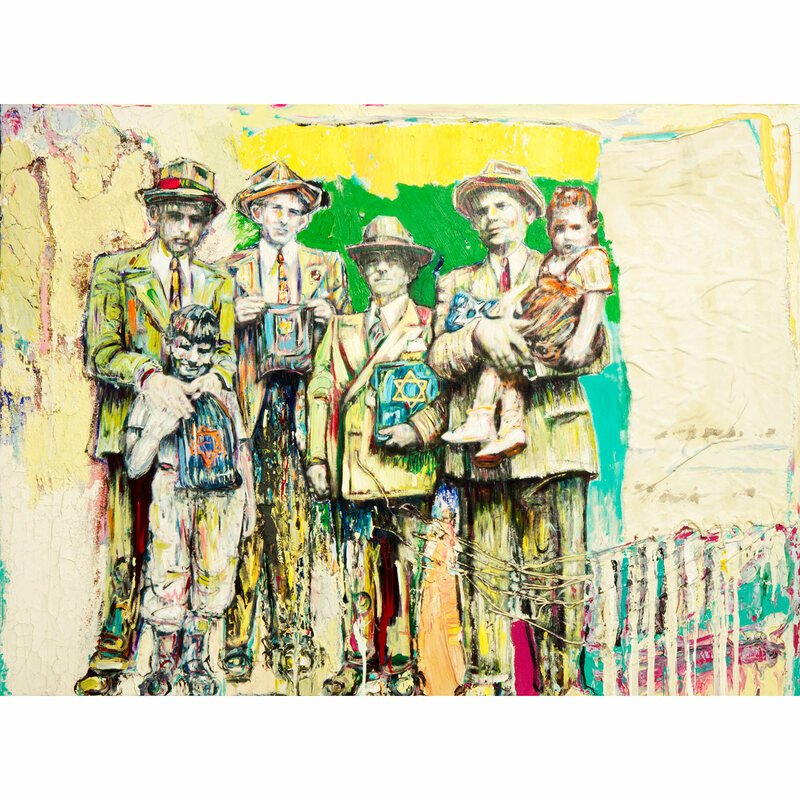 Chicago artist Howard Schwartz combines the past and the present in mixed media portraits inspired by his family story, a story that, like that of many Chicago families, begins its American chapter with merchants on Maxwell Street. Howard's great-grandfather was a cobbler in Poland during the 19th century. His son — Howard's grandfather — followed him into the business and immigrated to America in the early decades of the 20th century. He settled near Chicago’s Maxwell Street Market and worked his way up from a dealer in used shoes to a retailer with a storefront shop. During WWII the business moved to Wicker Park and the next generation — Howard’s father and his brother — assumed leadership. The fourth and last generation in the business was Howard himself, who from age 11 worked part time at the store and joined the business full time in 1980. Ultimately, he left to pursue a career in art and teaching with his family's heritage serving as a significant inspiration for his work. Since his youth, Howard has collected artifacts, photographs, and memorabilia documenting his family’s story. 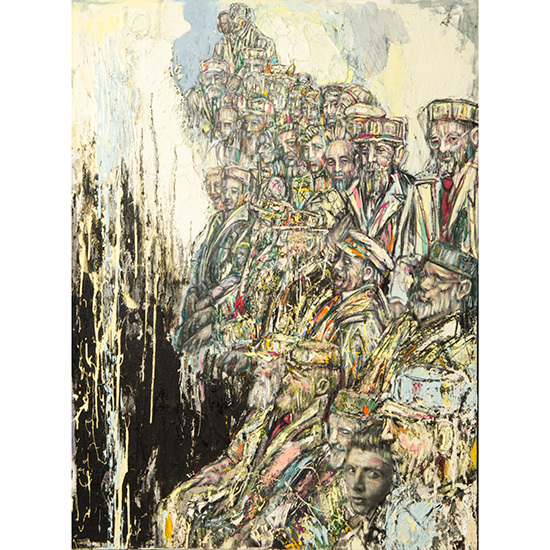 As an artist, he draws upon this archive to create richly layered portraits of the past. He has developed a technique of applying an enlarged family photograph to a canvas as a "base coat," over and around which he paints, pours, drips, and collages. In the early days the shoe store was only closed three days of the year—two days for Rosh Hashanah and one for Yom Kippur. The men in the photo carry “tallis” (prayer shawl) bags, which inspired the inclusion of the white fabric at right. Dimensions: 36 x 48 in.